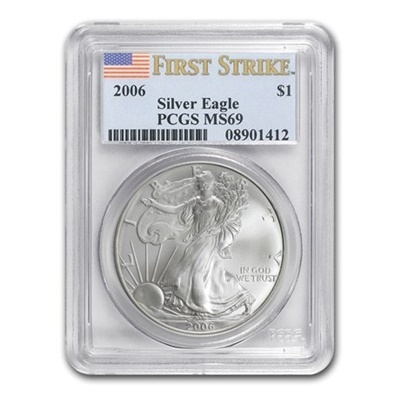 The most popular Silver bullion coin in the world, the American Silver Eagle features a timeless design and 1oz of .999 fine Silver from the U.S. Mint. This coin has been certified by PCGS, further guaranteeing its authenticity and condition. 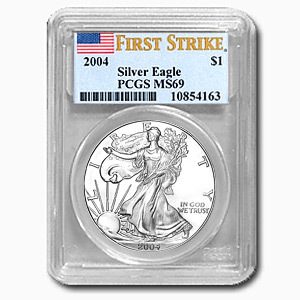 As we have several of the coins in stock, the serial number may vary from the item shown.